So, it looks like Saturday is going to involve lightning, so the barbeque has morphed into a pizza party. Everyone is invited. Bring a friend. If you can RSVP, great. If not, that’s fine. We’re probably going to need to order the pizza beforehand. We’re going to double the RSVP list. If you like, you can bring something . When: Saturday, July 28th, 4pm to whenever. Where: 15 Gurney Street, Cambridge MA (Google map). It’s about 15 minutes walking from the Square. You can also take the 72 (Huron) bus, and ask for the Fayerweather stop. Parking: The City of Cambridge has declared Saturday LibraryThing day***. You can park anywhere on Gurney Street and between Gurney and Huron on Fayerweather. *When Emma’s was at the foot of Gurney Street, when I was young, it was decidedly less upscale. There were no tables—just a counter nobody used—and the ambiance was comprised of Emma berating her meek husband Greg in angry, staccato Armenian all day long. When the current owners bought it they moved it to Kendall Square, avoided marital conflict, added tables and the goat cheese, sun dried tomatoes and artichoke hearts today’s Cambridge requires. Somehow they managed to preserve what was good about it. It’s an amazing pizza. **Alas, Tim’s trademark sigara börek will not fit with the rest of the meal. And Abby and I are wandering the hall in our LibraryThing t-shirts (Tim: black; Abby: yellow), meeting people, crashing happy hours, etc. PS: Come to “Participatory Networks: Libraries as Conversation” 10:30-12:00 (WCC Room 143B) today (Saturday). It’s almost blank in the program, but it’s a top and extremely interesting guy at Second Life—memo to self: put cards in wallet, not pants pocket. UPDATE: I posted my “Hive” introduction on Thingology. Going down, like the Titanic. LibraryThing has hit fifteen million books. Number 15,000,000 was a 1963 edition of The Greek Way by Edith Hamilton, added by dukedom_enough at 8:57am on June 15. For his luck, Dukedom earns a free gift membership. Now begins the countdown to a major milestone: becoming the second largest “library” in the US, and with or soon after that, the second largest in the world, gulp. With luck, we’ll settle in behind the Library of Congress in 10-15 days. At 30 million, they’re going to take a while to beat. Which raises the question, does the ALA Factsheet also count periodical volumes separately? 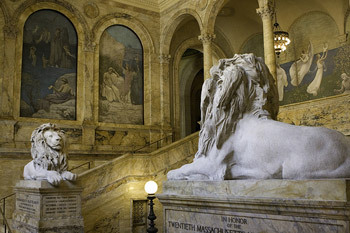 Surpassing the BPL in any way feels blasphemous; I love the place so much that comparing LibraryThing to the BPL—well, the lions should eat me for thinking it. But Harvard will be sweet. 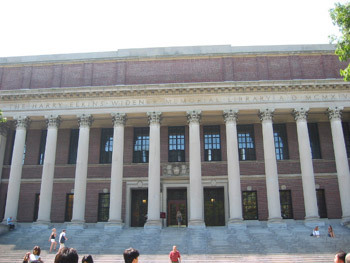 I lived most of my life in Cambridge, MA, but the bastards rejected me twice—undergrad and grad! So, in that spirit, and with Yalies protecting my back, let’s beat that little pile of books over at Widener. *There are all sorts of problems with these numbers. In fact, libraries don’t really know how many books they have. LibraryThing has a small percentage of items that aren’t books, and a larger number that are “wished for” other otherwise ephemeral. At the same time, many of LibraryThing’s “books” are composed of multiple volumes. So, we’re in the neighborhood of 15 million anyway. LibraryThing demonstrates something we always knew—that regular people have a lot of books—probably many times what all the world’s libraries hold. I’ve never seen the relative numbers discussed. It never mattered before, but now that regular people can put their catalogs online and engage in tasks, like tagging and work disambiguation, that bear on age-old issues of library science, it’s not entirely pointless to compare the two. **Source: ALA Factsheet: The Nation’s Largest Libraries. ***My Library of Congress talk will be online soon, as will my recent keynote at the Innovative Users Group meeting in Sligo, Ireland. We won SEOmoz’s Web 2.0 Awards, in the Books category. Not to bite the hand that feeds us, but giving Reader2 honorable mention is very strange. Don’t get me wrong, Reader2 was a worthy opponent. Dmitry and I started the same week, almost two years ago. But Reader2 didn’t get that far, and it hasn’t been actively developed in at least a year. Since then more than two dozen sites have entered the market, many better than Reader2. Odd choice. We’ve hit 259 comments on the last post. That’s a lot of words. I’m making a new one here to clear the baffles. Site back, sorry for the outage. The site is back up, after having being down for a day and a night. An errant script knocked down the “read” database, and when the box crashed, some of the db files were corrupted. This meant the whole db had to be restored from the master db. In addition to the db itself, some of the log files were also affected. Turns our MySQL is a lot more finicky about how log files are handled than I’d ever known, or hoped to know. After a lot of digging around, everything is back the way it belongs, and all that was lost is a night of sleep–no data was lost. I’d like to apologize profusely to everyone who was inconvenienced. We’ll put more safeguards into place to try to minimize such outages in the future, hopefully. We’re really sorry about the downtime, folks. We’re working hard to get the site back up and running, but it’s taking longer than we’d like. We’ll keep you updated as soon as we know more. 3. Wait for us to pick a winner. Update 5:11 pm Eastern: We lost the main “read slave.” No data was lost. (We have five copies at all times.) But are missing a critical machine, and have to rebuild it. John is working to rebuild the machine. I suspect it will not be up tonight. LibraryThing’s John McGrath has debuted a new site, TagsAhoy, with a wonderfully simple idea: searcing your tags across multiple sites. Cross-site tag searching is nothing new; sites like Technorati do it all the time. But TagsAhoy searches your tags, not someone else’s. If you tag a lot, it will come in handy. And you’ll wonder why nobody thought of it before. So far, TagsAhoy searches LibraryThing, Del.icio.us, Flickr, Gmail, Squirl and Connotea. More will come, and John has promised tag clouds and other cool features. Pattered somewhat on the spare design of another of his sites, Wordie (“LibraryThing for words,” “Flickr without pictures,” etc.) TagsAhoy is super-simple to use. John recently moved to New Jersey and will be transitioning gradually off LibraryThing work over the next few months, as we look for a new PHP programmer with systems skills (job announcement to be posted soon). With TagsAhoy and whatever else his fertile mind creates, Abby, Altay and I wish him well. *Research suggests PornAhoy.com is an expired domain. It sounds like a site for people who enjoy watching naked people on boats very very far away. There’s a market for everything. **John suggests a site of just Web 2.0 suffixes, ThingAhoySter. LibraryThing members have added well over 18 million tags. Of course, they aren’t equally distributed. Popular books now sport thousands or even tens of thousands of tags. Work pages have a small tag cloud for each book, but it only shows the most popular thirty or so. So I added a link to show all tags for a work. It shows the whole “long tail.” It’s very long indeed. It’s stunning. If you want to see the actual numbers, you can click the “show numbers” link. 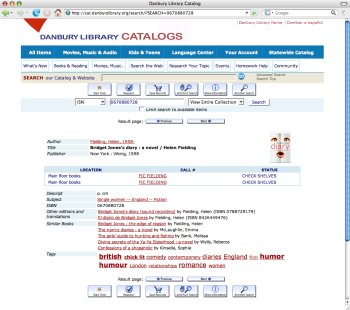 Over in Thingology I’ve announced the first library to use LibraryThing for Libraries—The Danbury Library in Danbury Connecticut. Works, recommendations, tags—they’ve got it all. I’ve said I wouldn’t do as much cross-posting, now that we have a combined blog feed (see over on the right). But I thought I’d mention it here, and explain a bit about what it means for LibraryThing. For those concerned about development time, I want to emphasize that LibraryThing for Libraries is good for LibraryThing. On the most basic level, it’s going to help our bottom line. That means more programmers making features and fixing bugs. Conceivably, it could mean cheaper accounts. It also deepens our relationship with libraries, and returns a favor. LibraryThing was built on library data, and we’ve been graciously invited into the library conversation. We are charging for LibraryThing for Libraries, but our prices are in an entirely different league from what libraries are accustomed to pay for their online catalog software. And as these catalogs add “social” features, LibraryThing for Libraries will exert powerful downward pressure on prices. Ultimately, the industry needs a newcomer to take a huge slice of a smaller market. We’re not going to be that company, but we can push the trend along. 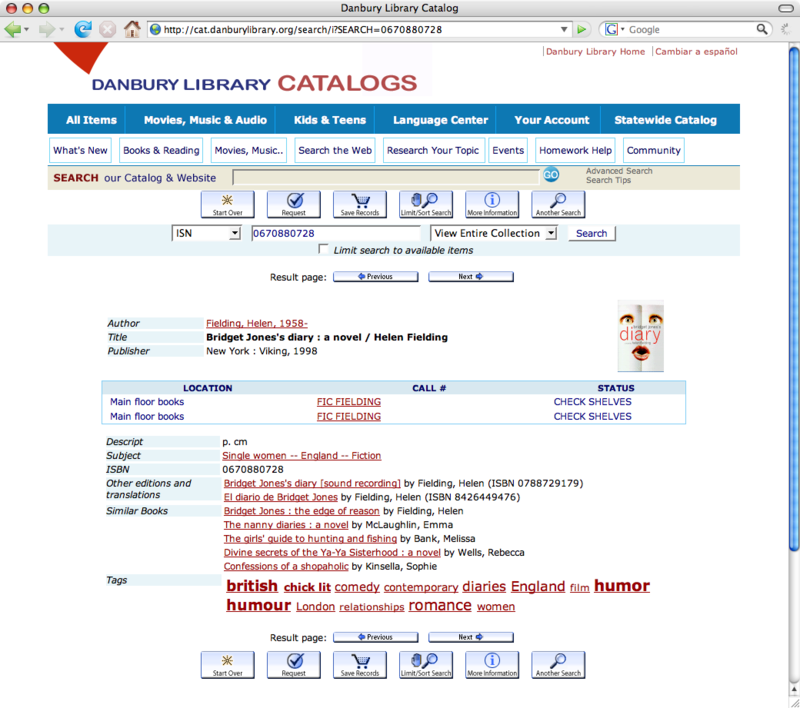 LibraryThing for Libraries has also taught us a lot about library catalogs. These are some thorny, mysterious systems! Until now, we’ve relied exclusively on the simplicity of Z39.50 connections, which most libraries don’t have. But we can do more. With out new-found experience, we can start connecting to the remaining 95%. If nothing else, this should help our language reach.